Make your friends green with envy with these Bulbasaur Women's Crew Socks! 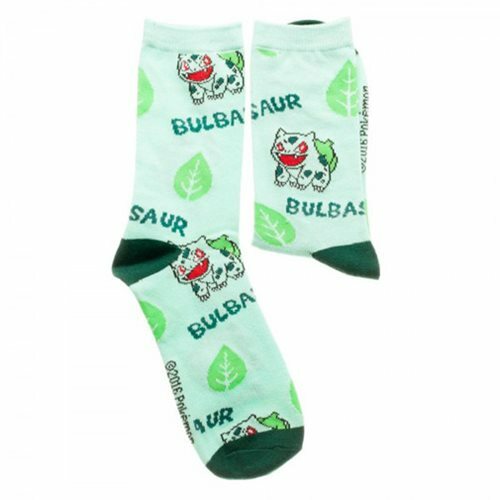 Featuring the adorable grass poison type pokemon, these socks are the perfect addition to your outfit. Fans of Bulbasaur can show their love with these graphic Bulbasaur Women's Crew Socks! One size fits most women's shoe size from 5-10 and sock size 9-11 Includes one pair. Made from 68% Acrylic, 30% Polyester, and 2% Spandex. Ages 14 and up.